Well the summer is flying by and I’ve been so busy in the month of June that I haven’t had too much time to blog lately. We’ve taken several short trips and had a few important family celebrations which I’ve had to plan as well. The summer is off to a great start and now I have some time to blog again, before our big trip next month. I am, what some folks call, a summer baby (my birthday is in August) and summer has always been my absolute favorite season and time of year. I love that kids are off from school, so I get to thoroughly enjoy my daughter, without having to worry if homework and assignments are done (although there is that blasted summer reading list). Lucky for me, I live in Miami…yes, it gets incredibly hot, but I love to hang out in my pool and go to the beach pretty regularly. As part of my summer routines, I also enjoy having friends and family over and that of course, means yummy, refreshing summer meals. Photo courtesy of Paperless Post. The mini lanterns light string looks amazing. Summer entertaining is great because we can use the outdoor space to host greater numbers of friends! Thank you for sharing. Numbers 1, 7, 8 and especially 9 has my total attention! I love individual pies! Shrimp is definitely a favorite of mine and as for that Watermelon cooler-I really have to try making some of that! 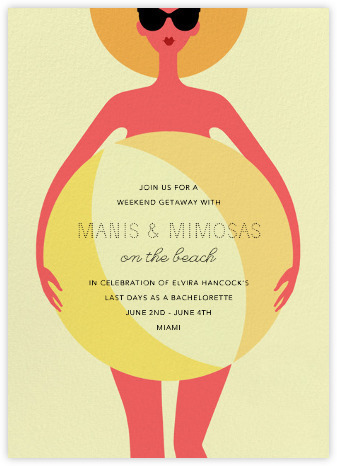 I LOVE the “Manis and Mimosas” invitation. So cute! I like your inspiration board too, that kind of planning is so helpful. These are all great ideas. There’s a birthday coming up and I will try some of these. Wow those strawberry shortcake skewers are AMAZING. I love the mini lanterns what a great little decoration to have for a get together in the backyard. So many really great choices! I love the water balloon thing. That would be a lot of fun. 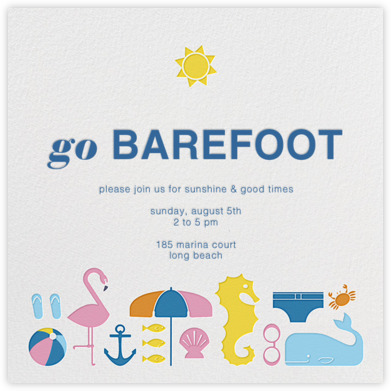 Those invitations are some of the cutest I’ve seen! I’m loving your party ideas. Those desserts look so good. Before we moved we would throw 2 parties a year and it was so much fun! I love these unique invites. So many ways to get creative with them. I love entertaining in the summer. The food! The decor! Everything! Omg manis and mimosas!!! Now that is my kinda weekend. I so need to do that sometime. I am loving the watermelon refreshers as I feel I need these throughout summer so blooming hot. What great summer ideas and thanks for sharing today! I can’t wait until summer returns as it is currently winter! I would love to try your chorizo and shrimp bites! I love the food on the board and all the activities that comes with summer. It’s gonna be a great time to have fun outdoors. I love the idea of doing an inspiration board for an event! I bet Miami is a great place to entertain in, and who doesn’t love string lights? I love summer. My favorite part is the BBQ’s. I love having all my friends over for a BBQ. I like all the great outdoor furniture you can get now. Some of it is more comfortable then my living room furniture. I love summer entertaining! Heck, I love entertaining all year long! Decorations like the mini lanterns are super cute! I’ll have to check them out. My daughter will be having a baby shower in a couple of months so we’ll need some invitations and want something unique. 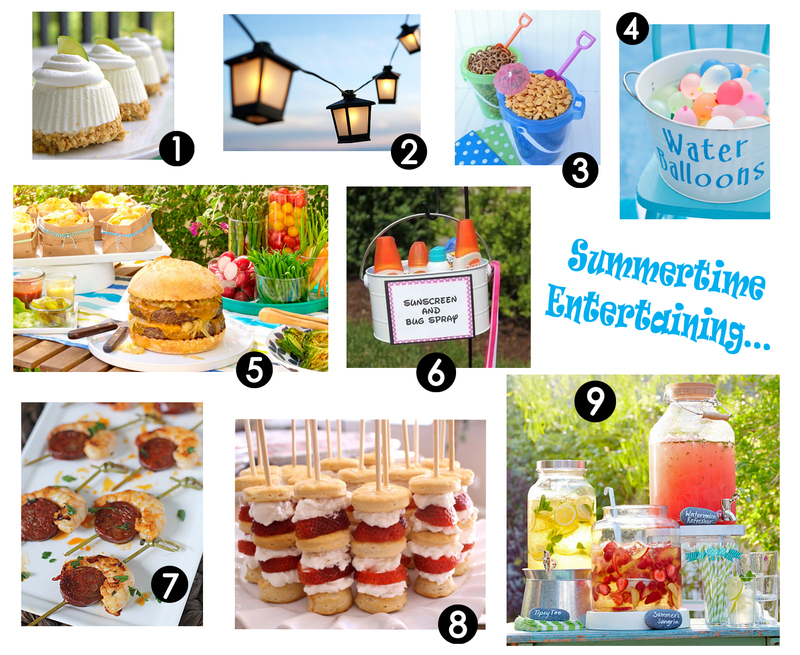 I love summer entertaining and I’ve never heard of Paperless Post! I can’t wait to be the first of my friends to use them and I can’t wait for all of my girlfriends to start using them (after I do it first, ha!)! 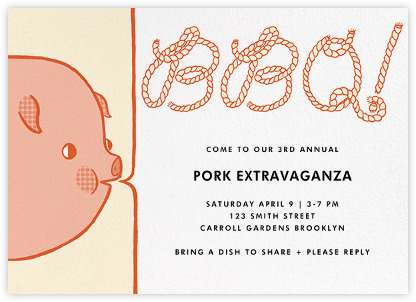 Those invites are adorable! My favorite is the BBQ. My daughter loves pigs and it has rubbed off on me. I love summer also. It’s just all the time with friends and family that I love. I also love the warm weather and sunshine. I wish it lasted longer. I’m going to have to make those strawberry shortcakes skewers! Hubby absolutely loves, loves, loves those! 🙂 Thanks for sharing.